Offering you a complete choice of products which include muscle stimulator lcs 164. The most advanced model of Muscle Stimulator Diagnostic LCS 164 is featured with portable design, lightweight nature and programmable memory. 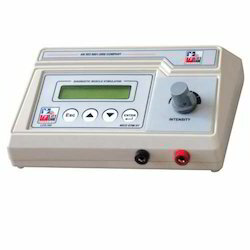 This allows the equipment to perform effectively in various diseases.